Looks like the new RV-12 kit will include the Rorax 912is, a new fuel tank, better/lighter battery and electric flaps. From what I understand, Van's is not planning on a retrofit for airplanes under current construction or already flying. Bill, do you have a link for these changes? I hope Van's went to a one-piece fuel cell, either welded aluminum or rotomolded polyethylene. The riveted and Prosealed fuel tank design on the RV-12 is frankly not great. If I were building one I'd replace the factory tank with a 20 gallon racing fuel cell as soon as the airplane was signed off as E-LSA. No details yet, only vague comments from the Van's forum. Rumor has it there will be an announcement forthcoming from Air Venture - Oshkosh. I love having 33 gallons usable fuel now . . . but I think Van's should boost the tank capacity to 25 gallons in the RV-12. I recently saw a RV12 with wing tanks. The owner/builder went off on his own to get the gas tank out of the cabin. Some nice improvements, but the new tank looks like it's still riveted together. Very nice improvements! Looking like a very nice "gen 2" indeed. 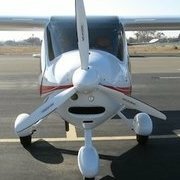 Pretty sure the RV12 (SLSA/ELSA) is the best selling LSA in the USA now (since FD production fell off with the bankruptcy)??? I've experienced zero problems with my RV-12 fuel tank. One issue with fueling has been to exposure to fuel hitting the rear canopy cover which causes cracking. Vans has replaced this part with Perspex. The new RV-12 SI has a new fuselage fueling port location. Slightly lower and further forward which still allows simple mogas fueling from gas cans which is great. The new plane has a see through tube which helps to check when tank is full as well as the Moeller gauge, in addition to the SkyView gauge. New tank is re shaped to run across baggage area to allow greater ease of access. Baggage allowance increased from 50 lbs to 75. Useable fuel on new tank is 2 gals and capacity increased to 20.2 from 19.8. Old tank has a caution when below 4 gals in case of steep climbs or a go around. I'd like the option on the RV-12 SLSA to have fixed wings and wing tanks 12.5 a side or maybe 15. That said I've never taken the wings off mine other than inspection. The Rans Venterra is similar to RV-12 and has two 12 plastic wing tanks and I think (?) 2 gals unusable per side which means same useable fuel as RV-12 so not a whole lot of difference in the end. Just for the educational experience... I decided to build an RV12-iS. I always wanted to build an airplane, one more "check" on the bucket list... Who knows, this may lead me to build an RV10. For those curious, I'm keeping an online mini blog (more photos than words). On the fuel tank issue, one of the options on the fuselage kit now is to buy a factory built, and tested fuel tank. I'll go that route for sure. I am 8 years into a 2 year RV-12 project. Many have said if I got rid of my flying airplane the build would go faster. Known everything except the engine/prop. Fuselage, wing and empennage kits are done so I have pieces that actually look like an airplane. Currently working on the wiring part of the finish kit. Knowing what I know now, I would not have taken this on. And, I have many advantages others may not have. I live 30 miles from Vans. The airpark is full of builders many of whom are repeat offenders. I belong to a very active EAA chapter. Knowledge, skills and abilities abound. Any tool I don't have is readily available. Plus, I'm retired. Some people are builders, some are flyers. I'd rather fly. One thing I know for certain - I will never again ask a builder what's taking so long!! It's still gonna fly on Tuesday. Fly on Tuesday but what year John? Good question Duane. Perhaps the next time Feb. 29th is on a Tuesday? You have just a little less than 10 years. Thank you very much John, for the honest self assessment. The only way I would ever consider an endeavor like that, would be if there was a quick build option (to save time) and it was builder assisted project. Only then would I attempt it. Its "supposed to be" a 1000 hour project. Translated, that's 6 months of "full time" employment. Always take those estimates with a grain of salt. I was building a Sonex, that was a "750 hour" project. 2.5 years in, working a couple of hours each night and all day on both weekend days, I had 700+ hours in it and was about 1/3 complete (Fuselage and tail were done). However, the RV-12 kit is a much more "rivet and go" kit with much less fabrication of parts, so their estimate might be closer to reality. Enjoy the process, you will learn a TON about airplanes by building. My advice is to build two. I'm holding out for a Rotax, fuel injected, turbocharged, 915 powered LSA... The RV12 will keep me out of trouble until then... I was all set to do a Tecnam P2008 with 914 turbo till the 915 bug crawled up my shirt. You got to fly something in the meantime ... 2 years voluntarily without a plane seems bordering on cruel and unusual punishment. Just learned at SnF, the Ran's S-21 Outbound is available with the Rotax 915. Bill, would you happen to have seen what RANS is reporting for the empty weight of the S-21? Cannot remember the exact numbers, but the usable load was impressive. I may go this route for at least one of the kits (wings or fuselage). I am having fun, but its early days into the project. When the days get long, I may add a partial quick build enhancement. Looks like Quick Build adds $15k in total cost, and eliminates 100% of the sheet metal work. There is no 51% rule for E-LSA. But then again, I was doing this to learn, so the sheet metal is a big part of it. Knowing every rivet, every rib has an appeal.